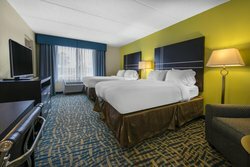 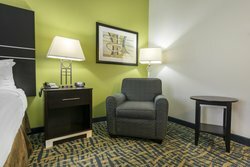 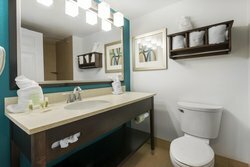 See Holiday Inn Savannah S I-95 Gateway’s recent renovations for yourself with our hotel photo gallery! 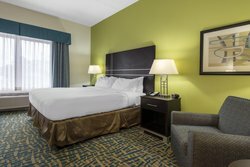 Tucked away off the I-95, our centrally located hotel provides guests with an affordable place to stay just minutes from Savannah’s historic downtown district. 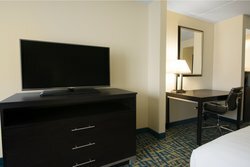 Our spacious rooms offer all the comforts of home, including complimentary Wi-Fi, a mini-fridge, and a 42” HDTV. 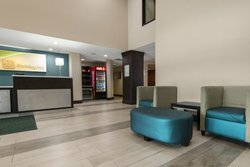 Pair your stay with the variety of convenient amenities we offer, such as our shuttle service to local attractions, Mudsocks Bar & Grill, meeting room, and helpful text service provided by our front desk staff. 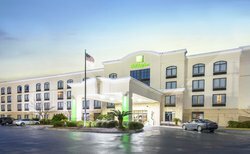 Discover Savannah, bursting with Southern charm and historic ghost stories. 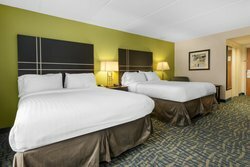 There’s no shortage of things to do, from ghost tours to beach days at Tybee Island, or simply touring downtown amidst the charming architecture. 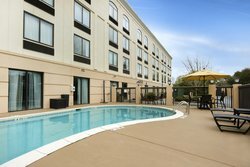 Stay just outside town at our comfortable and charming hotel!